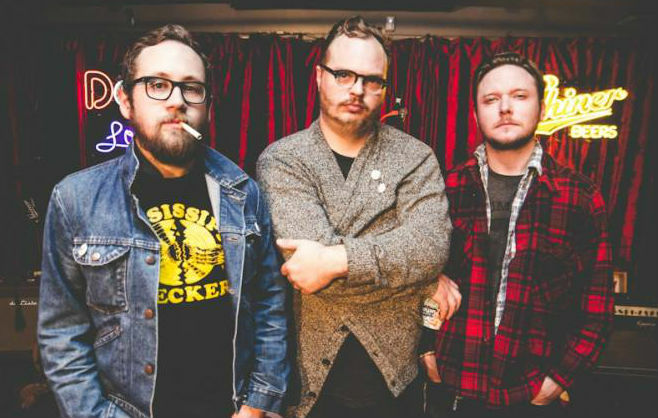 Water Liars, a Mississippi rock trio with a very apparent southern influence, are currently streaming their self-titled sophomore effort for your listening pleasure. Check it out here on American Songwriter. Despite only being a band for a few years, the outfit has already established themselves as noteworthy up-and-comers, often blending genres to create sultry tracks that are reminiscent of Kings of Leon, though admittedly with a lot more country twang. This forthcoming release will serve as a follow-up to the group’s debut album, Wyoming, which dropped last year via Fat Possum Records. “Water Liars is a record about trying to live and love and earn a living in times and places that don’t make it easy on anybody. It’s about trying to handle the bad times that nobody escapes and take care of the good times as long as they last. It’s us trying to tell about the outskirts of America that we’ve seen, lived through and live in, and get it right, for once if not for all,” said frontman Justin Kinkel-Schuster. If you like what you hear, you can pick up Water Liars when it hits stores February 4. This is their third full-length.